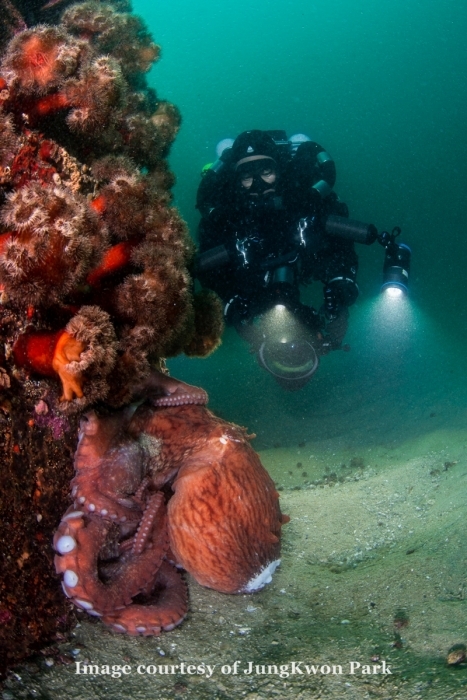 The Giant Octopus (Enteroctopus) filmed in East Sea of Korea. Giant Octopus in East Sea or Korea. Image by JungKwon Park. Giant Octopus may grow up to 3m(10ft) in length and weigh more then 70kg(154lbs). All still image courtesy of JungKwon Park (Diver in this video) aka Chambok.